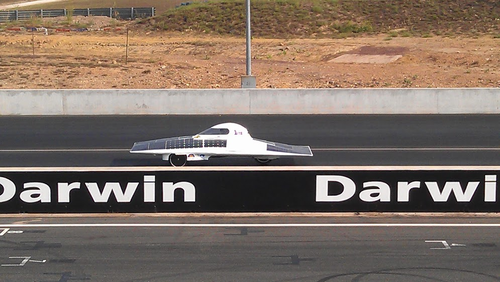 Durham's School of Engineering has been designing and building a solar powered racing car as a student group since 2004. 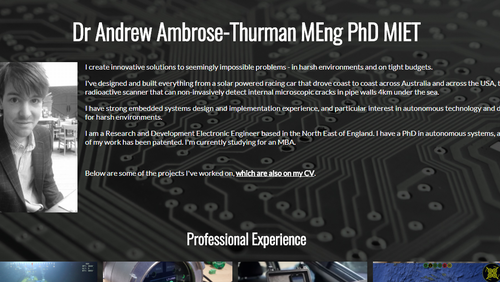 I worked on the car from this date until my graduation; taking an active role until the race in 2011, and after this taking an advisory role while completing my PhD. 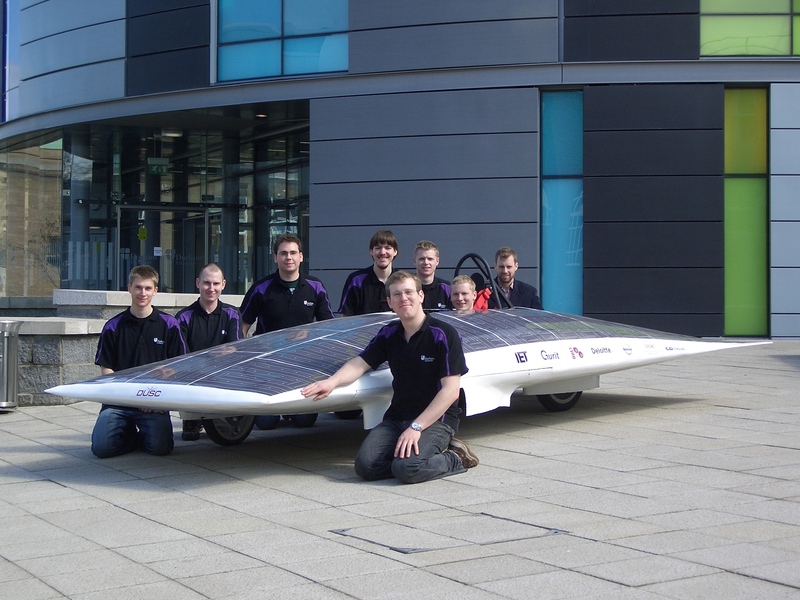 Durham University Solar Car (DUSC), since renamed Durham University Electric Motorsport, has taken part in a number of international races. At the time of my graduation it had entered two, and I was heavily involved in both. 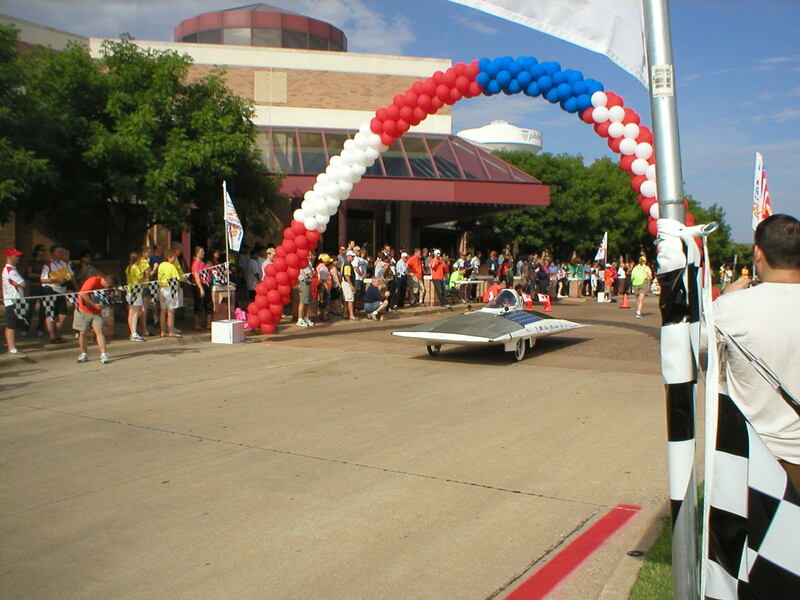 In 2008 we took the car to America for the North American Solar Challenge, racing from Dallas in Texas to Calgary in Canada, a distance of over 2400 miles. I was at the time the Motor Development Leader, and was part of the small Race Team - keeping the car running through the long journey. We came 14th, out of 23 entrants, and won the 'Best Rookie Team' award for new entrants. 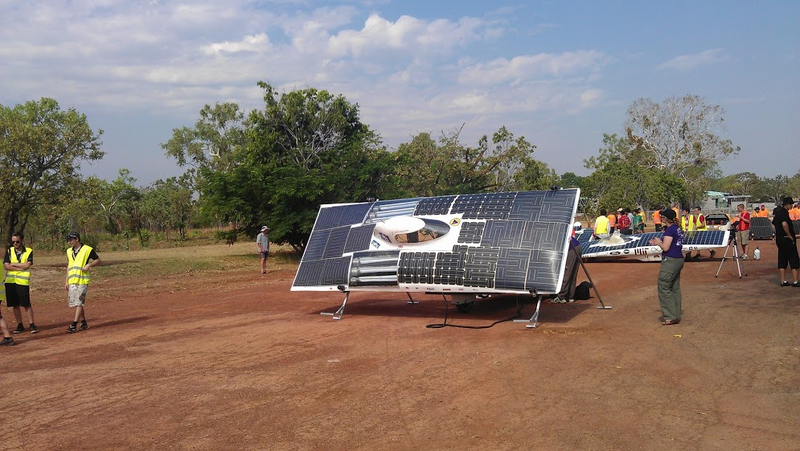 In 2011 we took the car to Australia for the World Solar Challenge, the oldest and foremost solar race in the world, driving over 3000km coast to coast from Darwin to Adelaide along the Stuart Highway. 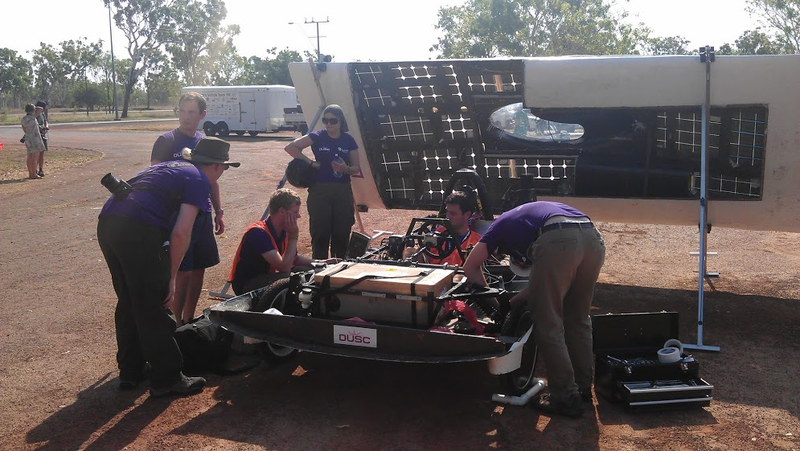 I was again part of the Race Team, managing telemetry (transmitting battery and sensor data from the solar car to the support vehicles, as well as fitting the support cars with CB radios, a wireless network, and 240v electricity for powering laptops). As well as this I wired the electrical power for our trailer, wiring solar panels on the roof into control circuitry to charge batteries, supplying light and mains electricity (UK, US and Australian) both day and night. I also assisted with the general design and construction of the car - including laying up the carbon fibre bodyshell, wiring the in-wheel motor (designed in house), wind tunnel testing, designing the indicator circuitry, and encapsulating the fragile solar cells to make them flexible enough to curve across the bodyshell. We had a lot of publicity, including a piece on the BBC's Inside Out following us across Australia, and several articles on the online magazine The Register, amongst others. 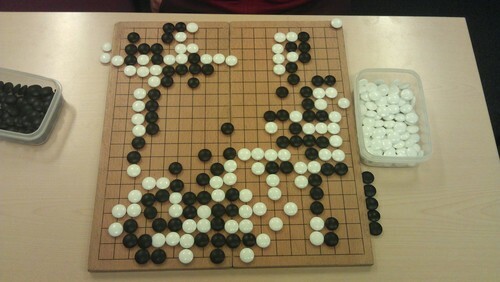 Go (also known as Weiqi and Baduk) is an ancient oriental board game, with some similarities to Chess. 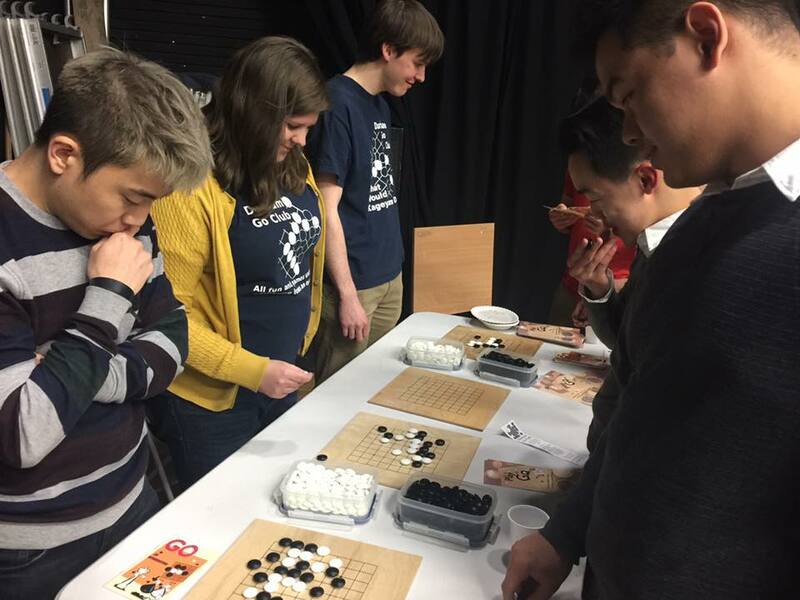 It's played more traditionally in China, Japan and Korea than in Western countries, but there are several clubs in the UK. 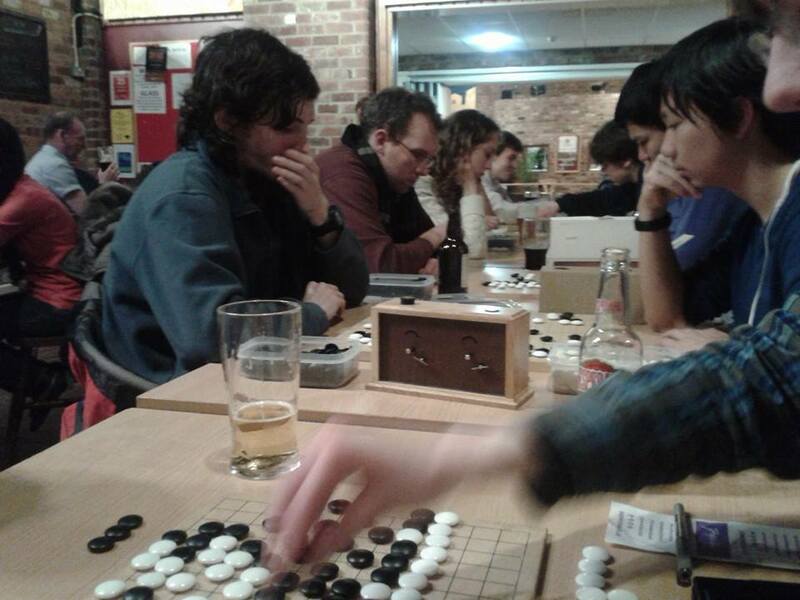 Durham Go Club is one of the largest in the UK. I've been playing Go since 2004, learning at the Durham club, and am currently around 7-kyu. You can see my rank on the Go Club website and on the European Go Database. 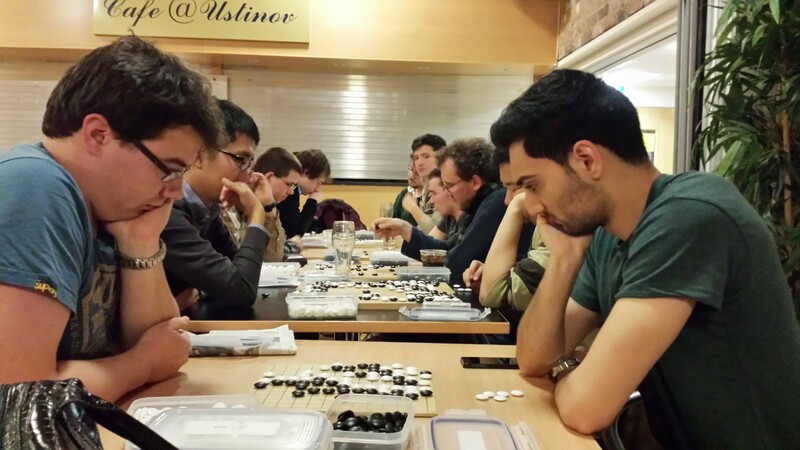 I've been helping to run the club since 2006 - initially as a Training Committee member, then as Secretary from 2007-2012, and finally taking over the day to day running of the club in 2011 - teaching new players, arranging our bi-weekly meetings, and organising tournaments (including the major British Open Go Tournament). I recently designed a basic set for beginners, designed to be given away for free. I managed to get the cost per set to under £1, and the British Go Association has been using them at training events. I also maintain the website, including the ranking ladder - a computer system which keeps a record of all games played and calculates rank changes. Along with a work colleague, I mentored teams at the 2018 Make For The Planet - Borneo event organised by Conservation X Labs. The event involved 15 teams from across the world gathering in Malaysia at the 5th International Marine Conservation Congress to solve a number of global conservation challenges, with a short period to come up with a solution and build a prototype. I remotely mentored teams both before and during the event, via email and video link - discussing their proposals, and giving them feedback and suggestions. Several of the concepts demonstrated at the event are now being taken forward, and there was a reasonable amount of media interest (including The Chronicle, NE Connected, and Business Up North, amongst others). I've designed and maintained various websites. A brief selection are shown below. I used a mixture of PHP and CSS to create an authentic looking book layout for the website for my wedding, which had an Alice in Wonderland theme. An online Advent Calendar designed for the Durham branch of the Inclusive Church movement. Each day focussed on a different marginalised group. 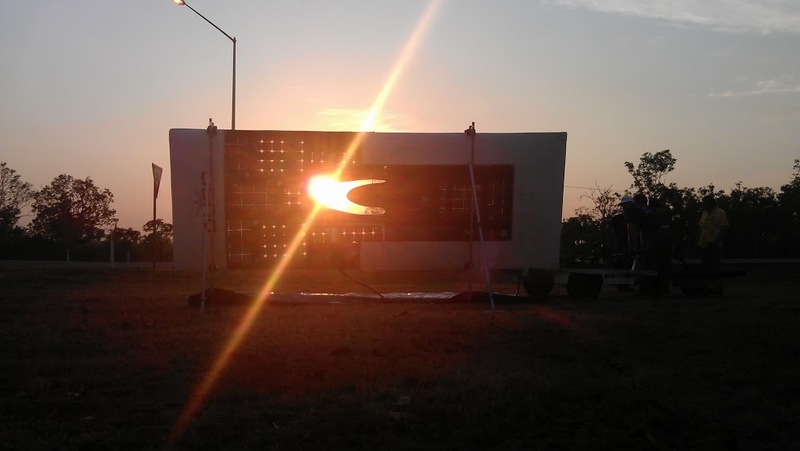 The calendar received a reasonable amount of media attention, including a mention on the BBC's 'Ouch!' podcast. Not yet publically available, this followup project is due to be released for Lent 2019. It can be demonstrated on request. It is considerably more accessible, with a number of features to make it easier to use for people who are partially sighted. It has a responsive design that is designed to work well with mobile devices as well as desktops. I maintain the website for the Durham Go Club, including the ranking ladder - a computer system which keeps a record of all games played and calculates rank changes. This has included adding statistics for club attendance and individual rank improvement. The website has a PHP front end and a PostgreSQL backend. A website for a major annual tournament, held in a different location every year, which I organised when it came to Durham in 2012. In 2017 the Church of England ran a week long series of events across the North East. 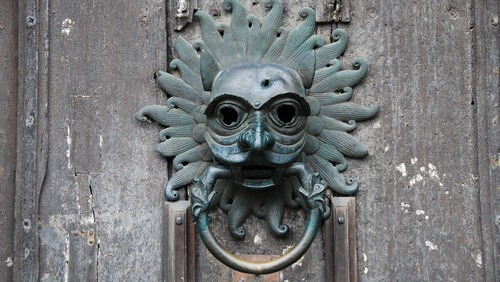 I wrote the events website for things happening around the Durham area, as well as helping with much of the event's administration. I was heavily involved in a number of societies and other groups during my time at the University of Durham. Here are some of the more notable experiences. Throughout my time at university I was heavily involved in the College Chapel. When the Chaplain of University College went on maternity leave, I was left in charge of the day to day running of the Chapel. This included organising the three weekly services, leading many of these, liasing with visiting speakers and priests who came to administer communion, and organising special events such as black tie charity dinners. The annual British Open is one of the largest Go tournaments in the UK. It attracts players from across the country and from abroad, and moves around the country between host clubs. Durham hosted the British Open in 2011. I was responsible for the organisation and running of this event, including booking accommodation, booking venues, and dealing with any problems that occurred before and during the event. When I became President of the Computing Society, there was a very low attendance. I organised a series of weekly computing and technology based talks and regular social events, which - along with an advertising campaign - greatly increased both the number of members attending events and also the number of people interested in taking a more direct role in the future running of the society. The talks included a range of speakers, from students to key speakers such as Professor Kevin Warwick (a world expert in cybernetics), and a representative from Bletchley Park (who brought a real Enigma Machine for the club to experience).